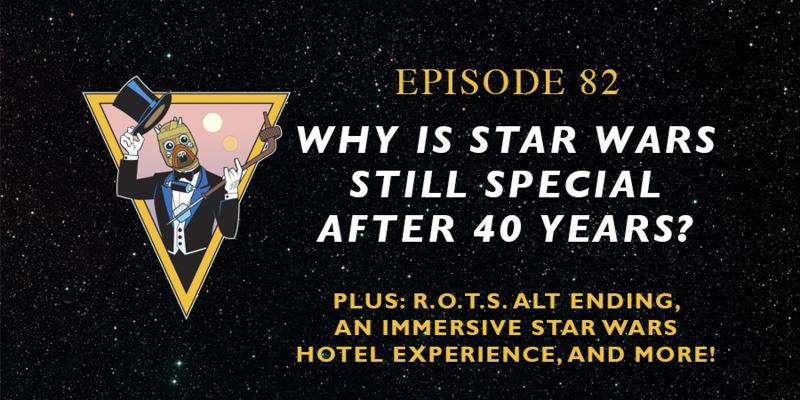 On this episode of Unmistakably Star Wars, Devin, Barb, and Jeremy spend some time revisiting A New Hope and reflecting on how it changes cinema forever. Devin shares how he has taken a step into a larger world when it comes to his collectibles. This week's amazing segment of "I Will Follow"
Should Palpatine be in Rebels Season 4? What potentially does a Star Wars hotel look like at Disney World? What is the most iconic scene from A New Hope? Finally, on the Closer Look segment, the USW crew looks back at A New Hope and dives into how the original Star Wars film changed everything.